(3) through newly developed satellite data products. 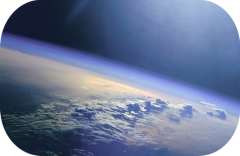 The improved climate models will be used to make more robust and accurate predictions of surface climate and stratospheric ozone, both with a view to the protection of life on Earth. Socioeconomic implications will be assessed and policy relevant information will be communicated to policy makers and the public through a dedicated office for communication, stakeholder contact and international co-operation.